What are the best cherry blossom viewing spots in Japan? Many foreigners visit Japan in spring because of the cherry blossoms. From the end of March to the beginning of May, cherry trees in the different parts of the country begin to produce beautiful pink blooms that are an incredible sight to see. Since the 8th century, the Japanese have a tradition of going out to view the stunning cherry flowers. Known as hanami, or flower viewing, this practice originally began as a celebration of the start of the rice-planting season. But, it was during the Heian Period, when the sakura viewing events that we know now was born. Once the sakura flowers reached their peak blossoming stage, the Emperor and his Imperial Court would spend hours relaxing under the amazing canopies of bright pink cherry trees, while feasting on delicious sake and food. Eventually, this custom was introduced to the rest of the Japanese society, and, today, even foreigners can partake in it. Located in Kyoto, the Philosopher’s Path is a two-kilometer long stone walkway that runs along a canal, through a serene neighborhood in the city’s Higashiyama district. On both sides of it, you can find lines of cherry trees that create a ceiling of pink flowers during peak sakura season. It extends from the Ginkakuji (or the Silver Pavilion) area to the Nanzenji, and leisurely walking the entire length will probably take under an hour. To get there, you can ride bus #5, #17, or #100 to the Ginkakuji bus stop; take bus #5 from Kyoto Station to Nanzenji-Eikando-michi bus stop; or ride the Tozai Subway Line to Keage Station. Situated in the heart of Tokyo, Shinjuku Gyoen is a massive park that serves as home to a wide variety of cherry trees. From the end of March to early April, it welcomes crowds and crowds of locals and tourists who want to get the best viewing seats for the magnificent cherry blossom spectacle. To get there, you can take the train to JR Shinjuku Station, Sendagaya Station, or Shinjukugyoenmae Station, and then walk 5 to 10 minutes to the park entrance. Found in Hakodate, Fort Goryokaku is a Western-style fortification that was built during the Tokugawa Shogunate. It has a spacious park that houses over one thousand cherry trees. Usually, peak cherry blossom season in this part of the country kicks in at around early May, so you can go up north to catch these gorgeous sakura blossoms if you missed the ones in Kansai and Kanto. To get there, take the tram to Goryokaku Koen Mae, and then walk about 10 minutes to the site’s main entrance. Home to over 2,500 cherry trees, Hirosaki Castle becomes a magical sakura wonderland usually from late April to early May. During this time, it holds a sakura festival where visitors can see up close and appreciate the breathtaking scenery of the sakura flowers in full bloom. To get there, you can take the Dotemachi Loop Bus from JR Hirosaki Station, and then get off at the Shiyakusho-mae bus stop. A popular cherry blossom viewing spot in Nagasaki, Omura Park is a green space constructed over Kushima’s Castle outer moat, and is known for its sakura illumination. At night, the event showcases the 2,000 wonderful cherry trees in full bloom that line the park’s network of pathways. To get there, take the bus from the Omura Bus Terminal to the City Hall stop. What is the cherry blossom forecast for the 2019 spring season? If you are planning to go to Japan in 2019 to see the beautiful sakura flowers, you have to look up cherry blossom forecasts. The different parts of the country have different blooming dates, and the schedule can change in an instant due to weather, temperature, and other conditions. In general, the northern regions of Japan enjoy peak sakura season later than the rest of the country. For example, in Hokkaido, the cherry flowers reach full bloom around early May; in Aomori, around late April; and in Sendai, around mid April. But, in the common tourist cities of Tokyo, Osaka, and Kyoto, the peak sakura season begins at around the end of March and lasts til the start of April; and in the southern cities, such as Nagasaki and Fukuoka, it is usually around late March to early April. 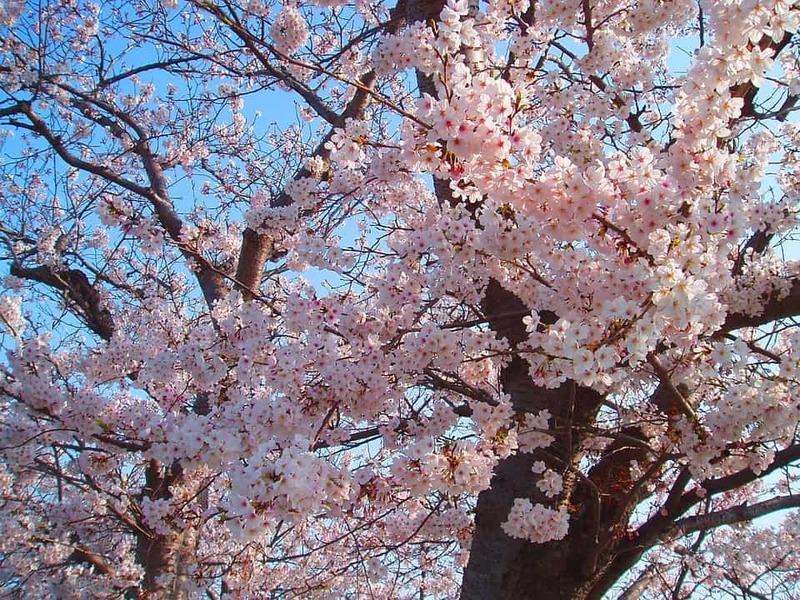 The estimated flowering date and full bloom date presented here are based on data collected from previous years’ cherry blossom seasons by the Japan Weather Association. For more accurate forecasts, you must check for new updates closer to the estimated dates, probably around February or early March. Usually, it takes sakura flowers about a week to reach full bloom once they start blossoming. And, it takes another week for the full bloom to last. Don’t forget to order your Japan SIM Card in advance of your trip. With many travelers making their way to Japan for this seasons cherry blossom stocks are expected to sell fast!